California auto insurance rate increases for accident claims is something that I get asked about frequently as a motor vehicle collision attorney. Because the Golden State has one of the highest costs of car insurance, many people are concerned that they may face a rate hike in their premiums if they file a claim for personal injury and/or property damage after a car accident. Often people are of the opinion that the mere filing of a legitimate bodily injury claim will raise their rates. In fact, this is not true! Certain Traffic Violations Within the Past Three Years: If a driver has been cited and convicted of certain traffic violations (mainly so-called “moving violations” such as speeding, running red lights, failure to yield the right of way or other similar infractions) within the three year period preceding issuance of an insurance policy, this may affect the “safety record” determination which may, in turn, affect premium rates. Having multiple dismissals of such violations can also count against you. While we all should drive safely so as to keep from being cited for violating the CA Vehicle Code and to prevent accidents, the above rules make it clear that unless a party is deemed to be the majority of the cause of any motor vehicle collision, his or her rates should not increase (absent other circumstances). California is a very consumer-friendly state. The above discussed laws date back to “proposition 103” , which the voters passed in the late 1980’s. Residents of the Golden State, whether they live in Southern, Northern or Central California, should take solace in the fact that unless they have excessive moving violations or are deemed 51 percent or more at fault, filing a claim should not affect their premiums. 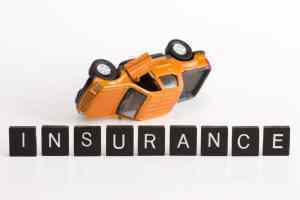 This includes filing an uninsured or underinsured motorist claim when you are involved in a crash with another driver who has no insurance or a small policy. It also applies when an insurance company argues that you are partially at fault for the incident. The bottom line is that if you were not “principally at fault” and you sustained bodily harm and/or damage to your vehicle, filing a claim either with your own insurance carrier or through the provider of the at fault party is your legal right! Seeking the advice and assistance of a lawyer who has experience in personal injury claims in CA is the best and most effective way to assert all necessary and proper claims following any motor vehicle incident.